This song was also featured in my Top 100 Favourite Music Videos of All Time list, getting to #96. 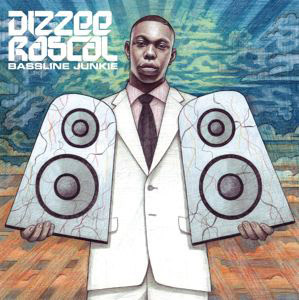 Dizzee Rascal has been an artist I've been fond of for sometime. I'm very happy for his success, even if this last album didn't quite do as well as the previous one, where he was probably bigger in the charts as he had ever been. "Bassline Junkie" is a silly yet funny song. And, with a song with bassline in the title, you'd expect it to be full of bass, and it is indeed full of BASS. Big, dirty, stinky bass in fact. And that's basically what the song is about, it's very cool, very much British grime as a genre at its silly finest, and I'd rather be addicted to bass like our friend Dizzee here than to other drugs! It's just a great song this, very much worth your attention if you like hip hop. If you missed #52 go here.